TDG is a multinational company established in 1984; the company became publicly listed in 2001 and, as of the now, it has a workforce of more than 10,000 employees around the globe. Our local market is covered by the Australian national distribution center in Melbourne that can assist local customers should they have any trouble or enquiry. More commercial and marketing branches are located in the United States and in China. The company specializes in the production of module wafer cell micro-inverters, as well as mono and polycrystalline solar panels with a power output between 180 and 305 Wp making them suitable to power residential and commercial projects alike. TDG also supplied photovoltaic materials and systems to power government and education projects and sourced clean energy in rural areas. Furthermore, every TDG’s solar product is CE, and TUV certified. 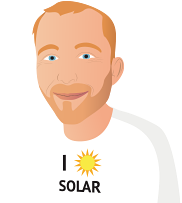 If you want to learn more about TDG’s line-up of PV products, make sure you check the reviews here below from customers who bought their photovoltaic panels in the past or take a look at the solar products listed on this page to find the ones that best fit your requirements and needs.